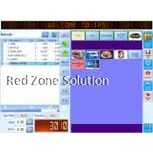 Using a point of sales system Malaysia is recommended for businesses of any size. 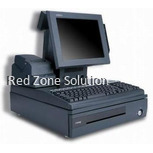 A POS system Malaysia is a more advanced option of processing sales. The single most important thing a business should be able to do it is handle a big load of clients efficiently. That is especially true in the retail industry. 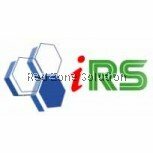 The good news is the IRS point of sales system Malaysia is the solution to all of your troubles. What is the IRS POS System? With its ability to handle a huge chunk of customers, the main focus of the software is to ease up the check-out process and help you manage your business inventory regardless of its size. The other good news is that it’s an online pos system. It uses the internet for faster communication, making it as cost efficient as possible. The Multi-Store Software updates the information every minute, which allows the user to observe almost real time reports. The POS System software will minimise efforts made by your employees and maximise your profits out of it. Another advantage is the ability to receive real time information about the stock’s location. It enables you to quickly react in certain situation when you need to restock on a product in a certain location. The tracking feature allows you to notice cases of malpractices (e.g. theft occurrences) and pinpoint which products hold the most risk. The point of sales system Malaysia allows you to track each employee, which is currently using the software. If you provide each of them with their personal login information, you would be able to track them regardless of the used machine, as the information is kept on the server side in the account. This enables you to distinguish which employees are doing better than others and which are making errors which shouldn’t be happening and allows you to take the needed measures to improve your business structure. Regardless of the size of your business the point of sales system Malaysia will provide the best solutions you could hope for and help you optimise the work flow, efficiency and results with the desired results. Try it out now and take your business to the next level with almost no efforts.